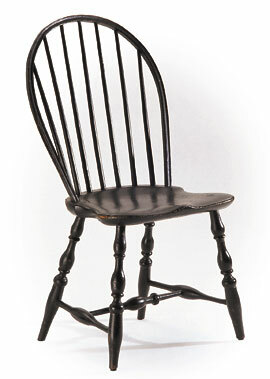 The Windsor chair originated in England during the early eighteenth century. 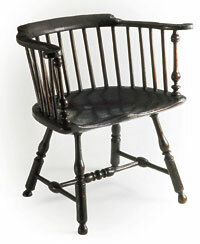 The name Windsor was given to the chair because of its use in the Windsor Castle of King George III. 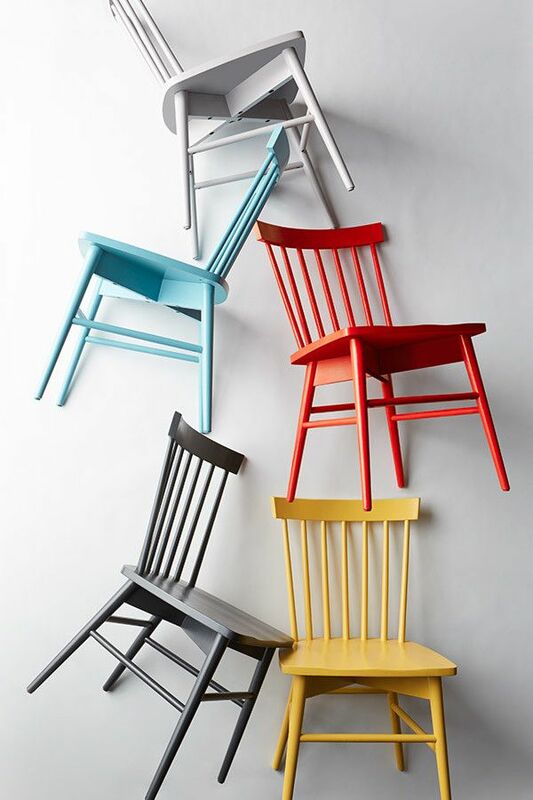 It is said King George III discovered the chair in a commoners home when out on a hunt. He sat in the chair while waiting on a storm to pass. 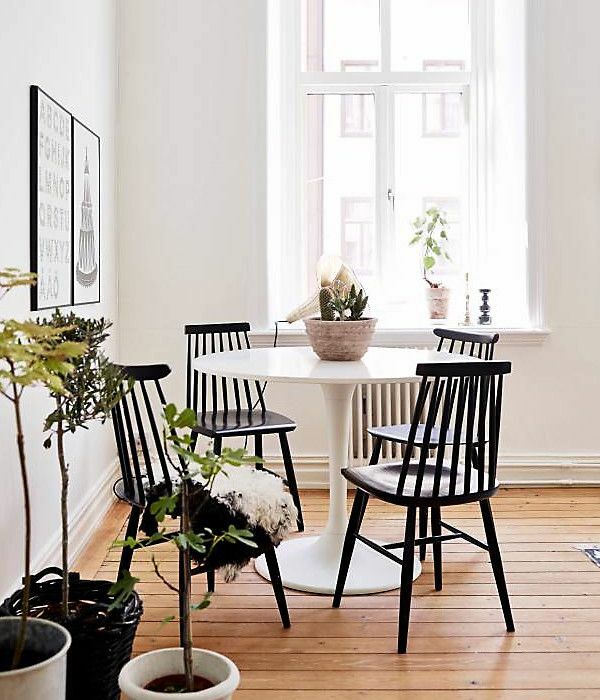 The chair was originally used outdoors on lawns and terraces and was often painted green (to camouflage the chair in the landscape). The first American Windsors were produced in Philadelphia around the mid-1740s. 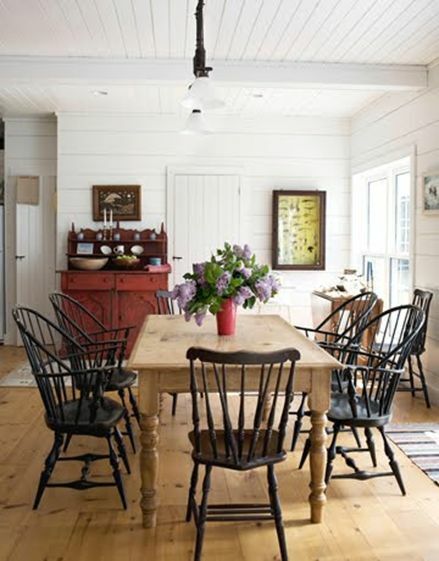 The Windsor chair is “stick” chair construction. 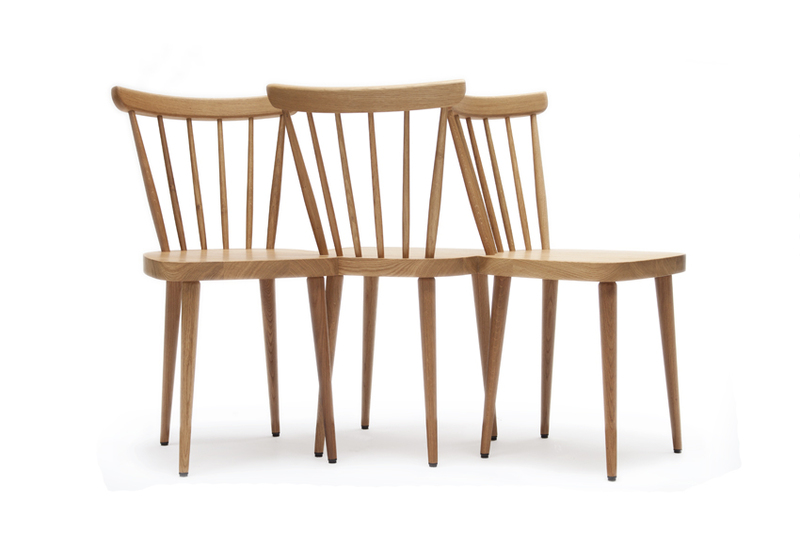 Stick chairs are characterized by round tenons fitted into round sockets. 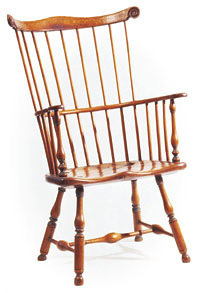 Windsor chair makers used a variety of woods and mixed them at random and the mixture was unified with a finish of paint. Low-back Windsor armchair, Philadelphia, PA, ca. 1755-1760. The High-back Windsor armchair, Philadelphia, PA ca. 1760-1770. The Sack-back Windsor armchair, New York City, ca. 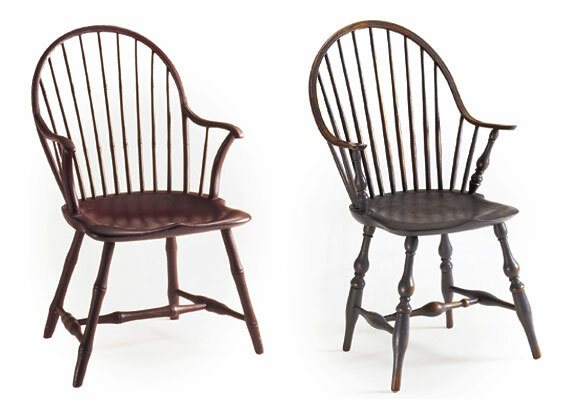 1783-1790 (chair on left). 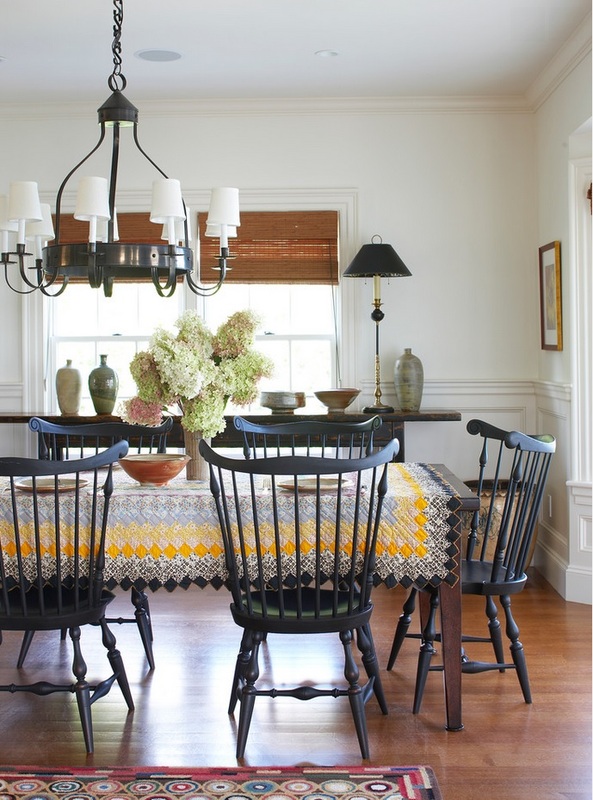 Fan-back Windsor side chair, Rhode Island, ca. 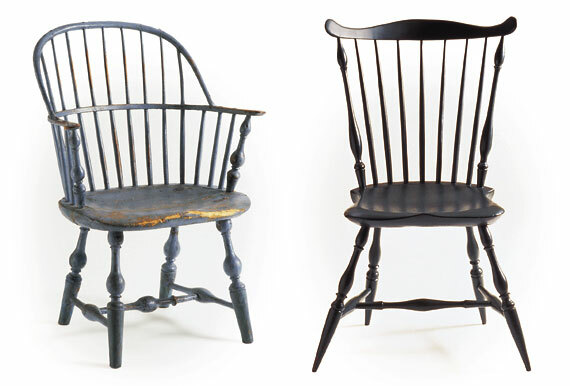 1790-1800 (chair on right). 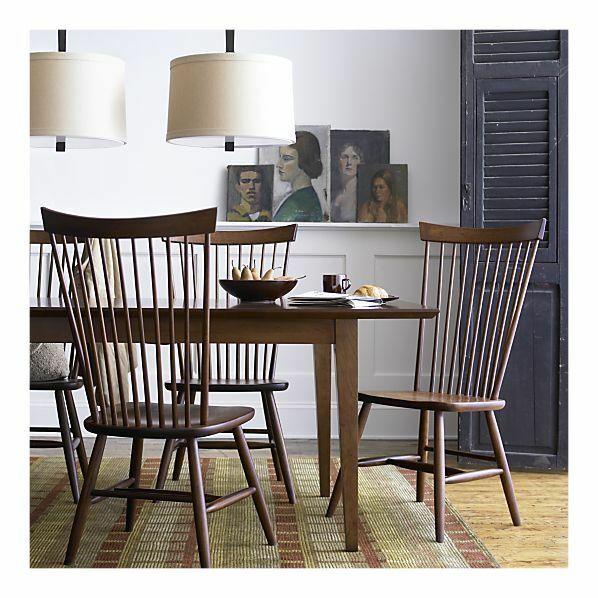 The Bow-back Windsor side chair and armchair, Boston, MA, ca. 1795-1800. The Bow-back Windsor armchair, Philadelphia, PA, ca. 1785-1790 (chair on left). The Continuous-bow Windsor armchair, Rhode Island, ca. 1792-1796 (chair on right). 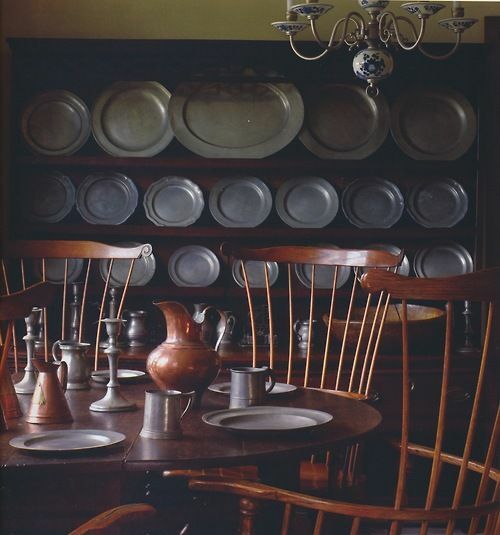 You will find the Windsor chairs were present in many important moments and places throughout American history, including George Washington’s Mount Vernon home and at the signing of the Declaration of Independence. 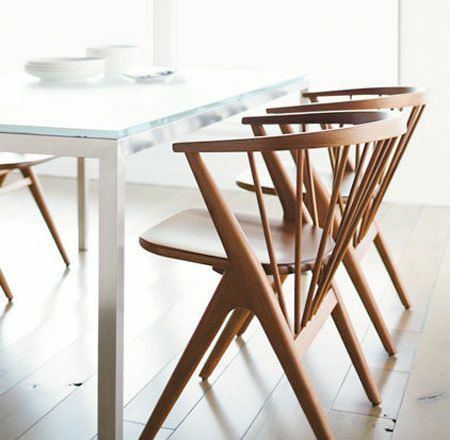 It’s hard to say why, but the American Windsor chair still remains to be one of the most popular solid wood chairs to date. Stylistic flourishes have been added through the years but the basic construction has not changed. 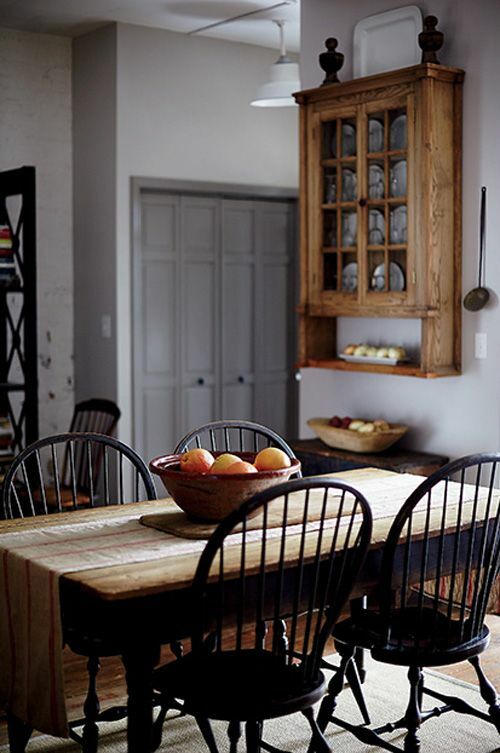 Check out these beautiful interiors using the Windsor chair and you will see why it has been able to retain its popularity! By the way, a variation of the chair can be spotted at the Baton Rouge Whole Foods–they’re red and in the cafe near the entry! 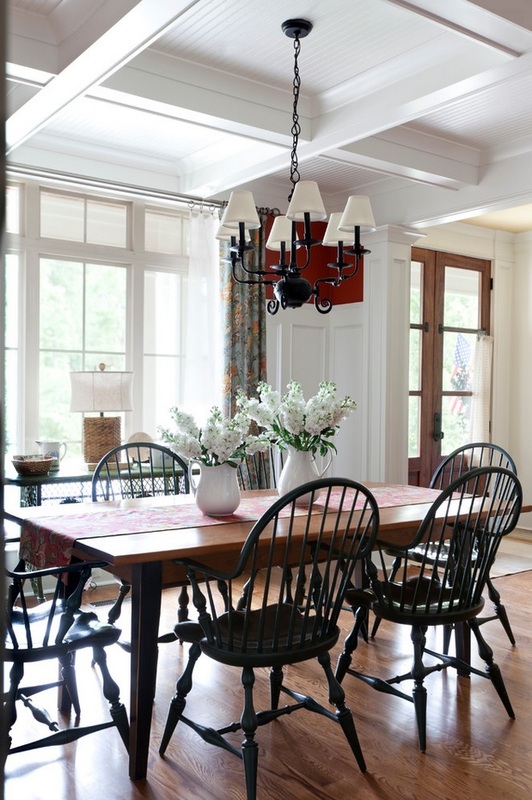 This Windsor chair adds extra seating in a foyer. 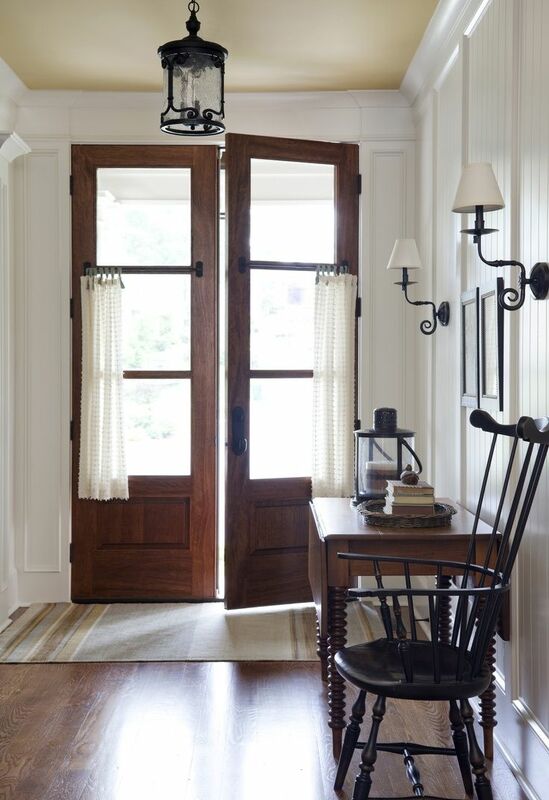 Click here to read our post about Impacting Foyers. 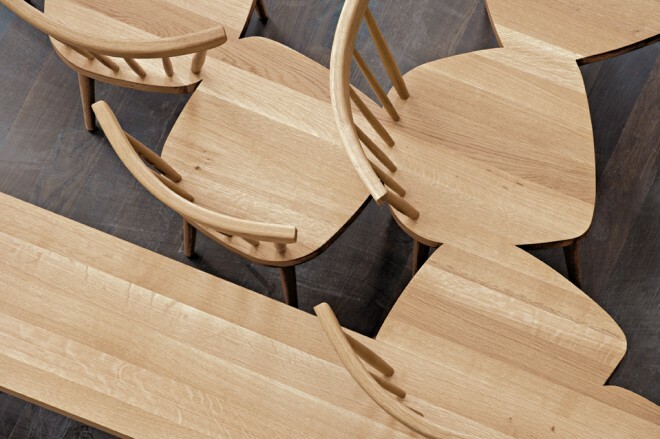 This piece, titled Stuhlhockerbank, is a series of seating for public spaces that approach users and viewers in an extraordinary way. 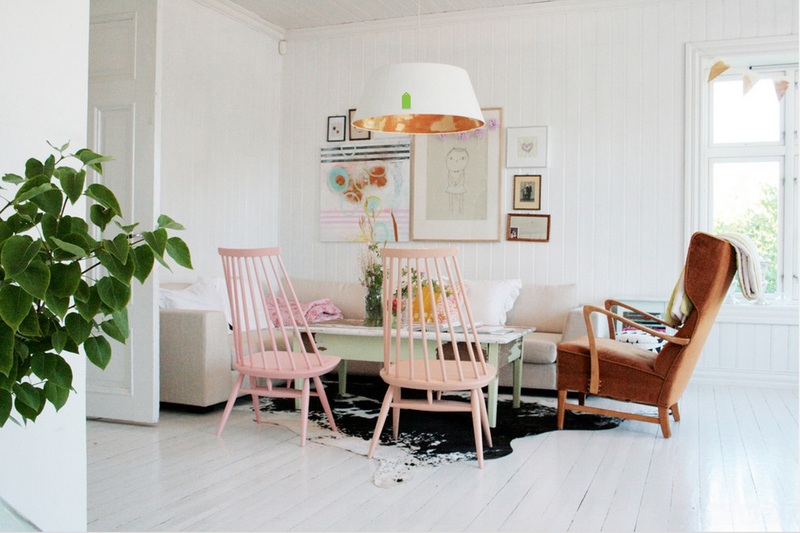 The dividing lines between different types of furniture (chair, stool, bench) are eliminated as the three types blend. 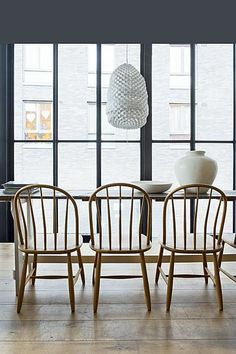 The chair that blends in this piece is the Windsor chair. 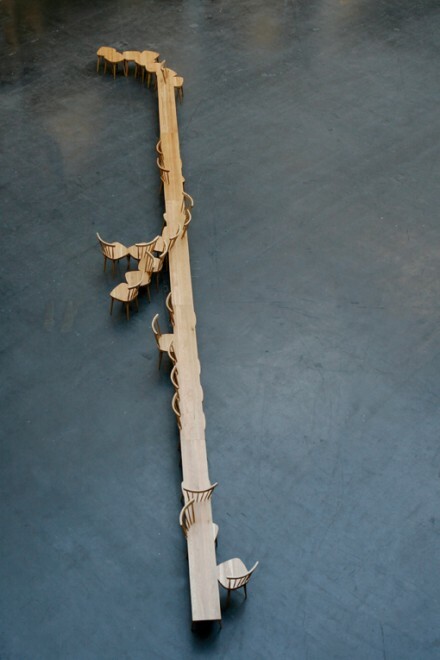 “While the old and traditional served as the basis for the new and the innovative, these highly inviting and joyful conversational structures blend the intimate with the public, the historical with contemporary art and design, and the ordered with the random.,” said Max Borka, journalist, critic, teacher, consultant, copywriter and write of books, curator of exhibitions and events on art, architecture, fashion and design. 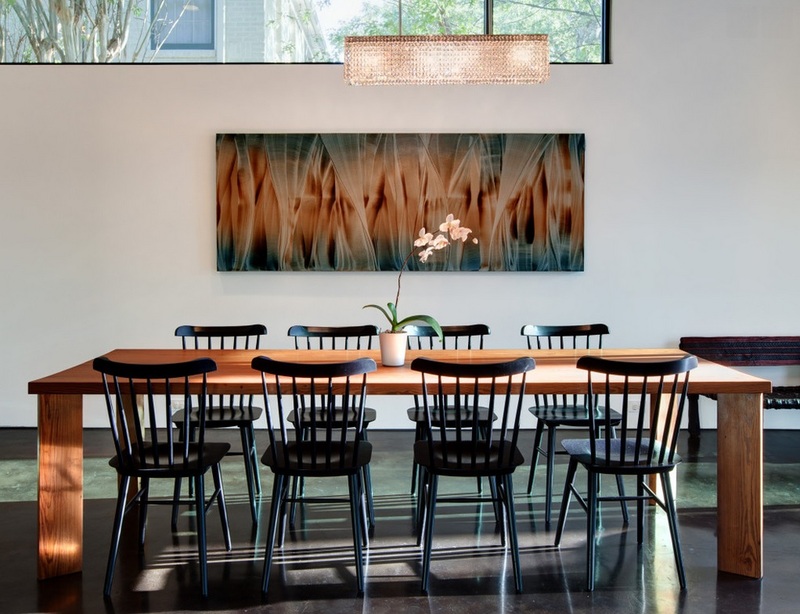 The piece was made by Yvonne Fehling and Jennie Peiz of Kraud (design) in Germany.